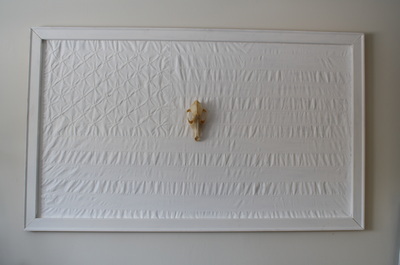 One Nation Under DOG, 2013. 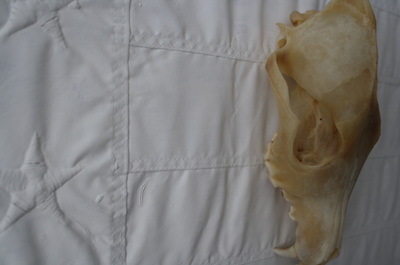 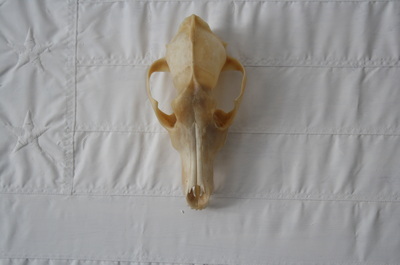 Gesso'd American Flag, Canis Latrans skull. 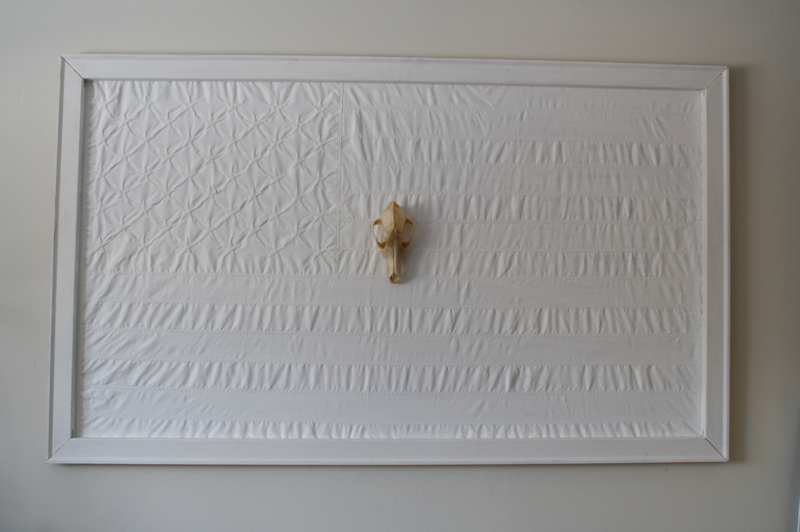 37.5" x 65" x 5.5"